Drop by our Cape Breton Regional Fire Prevention Division’s display at the Mayflower Mall on Saturday, October 6th from 1:00-3:00 p.m. for free childrens giveaways and chances to win great fire protection prize packages. As “Fire Prevention Week” approaches, the Cape Breton Regional Fire & Emergency Service, Prevention Division encourages residents to “Look. Listen. Learn.” What does that mean? 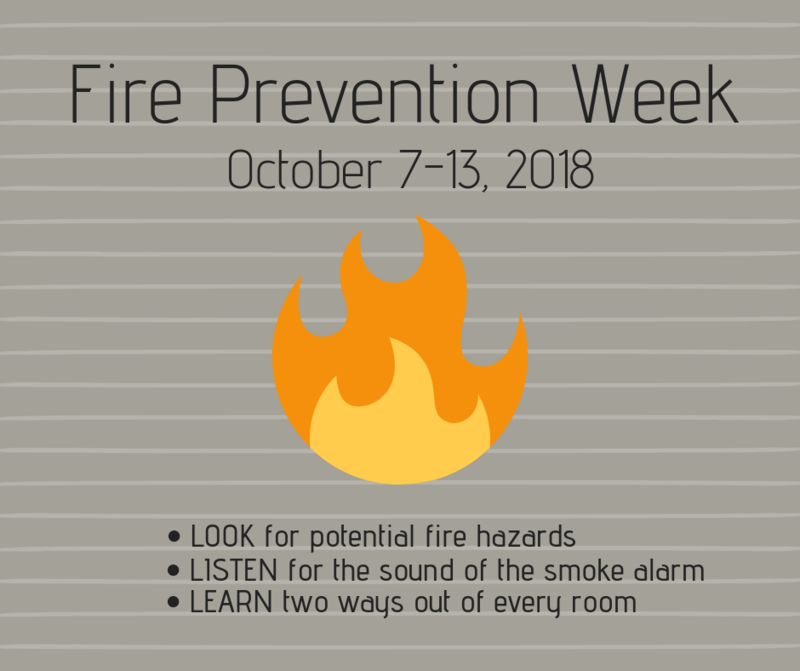 The Cape Breton Regional Fire & Emergency Service’s Prevention Division is teaming up with the National Fire Protection Association (NFPA) – the official sponsor of Fire Prevention Week for more than 90 years – to promote this year’s Fire Prevention Week campaign: “Look. Listen. Learn. Be aware. Fire can happen anywhere”. The campaign works to educate the public about basic but essential ways to quickly and safely escape a home fire. This year’s “Look. Listen. Learn.” campaign highlights three steps people can take to help quickly and safely escape a fire:Look for potential fire hazardsListen for the sound of the smoke alarmLearn two ways out of every room. Data from Statistics Canada show that the number of structure fires declined by 26 per cent between 2005 and 2014. However, residential fires consistently accounted for roughly six of every 10 structural fires during that period. According to StatsCan, cooking equipment and smokers’ material caused approximately six of every 10 residential fires. These numbers show that while we’ve made significant progress in teaching people how to prevent fires from happening, there’s still much more work to do in terms of educating the public about how to protect themselves in the event of a fire. This is particularly critical given the increased speed at which today’s home fires grow and spread. Homes are the place where people are at greatest risk for fire, however home is the place people feel safest. That over-confidence contributes to complacency toward home-escape planning and practice.Working in the fire service for many years, we know that people often make choices in fire situations that jeopardize their safety or even cost them their lives We need to do a better job of teaching people about the potentially life-saving difference escape planning and practice can make and motivating them to action. While the Cape Breton Regional Fire & Emergency Service’s, Prevention Division’s focus is on home fires, these messages apply to virtually any location.Situational awareness is a skill people need to use wherever they go. No matter where you are, look for available exits. If the alarm system sounds, take it seriously and exit the building immediately.